also give you a better posture online in this world of opportunities. 3. Email Handling Skills: you should learn email handling etiquettes in order to be able to use email effectively. 4. Data Management Skills: You must know how to manage the data you generate very well. Do you wish to take your business online or are you still looking for a Free website that will make your product or services known to the world? 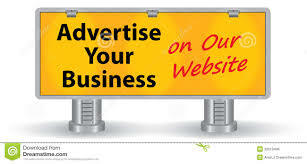 We all know that promoting your business is crucial to your success. If you have no previous experience with business promotion, you’re likely reaching for a bottle of Aspirin right now. But fear not, promoting your business isn’t only simple, it can be done without even spending a penny if it is done on our website www.gigpursuit.com! Check out the for a list of opportunities for service providers to promote your business on our website for free! With the right time and effort, you can find yourself attracting a whole slew of new clients to your great looking product or service ! To advertise your business for Free on our website, sign up today on www.gigpursuit.com as a NON-TEACHING Service Provider. Any language learner with a good internet connection is spoilt for choice when it comes to self-study. In fact, learners can waste a lot of time testing new sites to find the perfect fit for them. There are so many materials online, and so much range in quality, such as apps, e-books, online study communities, and translators. However, our online language learning website www.gigpursuit.com will give you one of the best experience ever as far as online language learning is concern. Language study is not a one-size-fits-all hobby, and no single style of learning will appeal to all learners. Some prefer lots of visual aids and sleek graphics to hold their interest. Some like the motivation of quizzes, scores, and games so they can track their learning and compete with themselves. Some are drawn to grammar, while others prefer listen-and-repeat exercises. Simply sign up today on www.gigpursuit.com and your dream of learning any language or local dialect will surely come true.